Rudy and Judi. Harry and Linda. Don Jr. and Vanessa. They’re all household names in New York City, and they’ve all called their marriages quits in the last year. And with those divorces — along with the thousands of others in NYC every year — come battles not just over money, but also over real estate. While that almost always entails divvying up properties, it can also mean liquidating them, which when ordered by a judge offers little flexibility. Margolis said it’s also key to ensure that word of the divorce doesn’t leak to potential buyers who will smell a discount if they learn of a split. These deals can be so complicated that one Los Angeles-based agent recently launched the Divorce Real Estate Institute to train brokers on handling them. Here’s a look at some key divorce stats, as well as some of the real estate portfolios that have recently been in the spotlight via dissolving marriages. The number of times Rudy Giuliani has been married. His third wife, Judith, filed for a contested divorce in April. 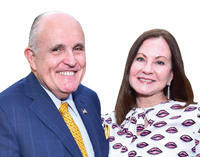 The couple own two South Florida condos worth roughly $4 million, a $5.3 million condo at 45 East 66th Street and a Hamptons house valued at about $4 million. The number of divorces filed in NYC in 2017. That was down from 27,622 in 2016. Meanwhile, New York state has one of the lowest divorce rates in the U.S. with 12.9 people per 1,000 divorcing in 2016 versus more than 20 per 1,000 in some states. The size of Macklowe Properties’ real estate portfolio. The holdings were in the spotlight in late 2017 during the developer’s divorce trial, which offered a look at his stakes in such high-profile NYC properties as 432 Park Avenue and One Wall Street. The average number of months it takes for a divorce to unfold in NYC. But that time can span from four to 24 months, depending on whether it’s a “no fault” split, whether there are child custody issues and how complex the portfolio of assets is. By comparison, the national average is 11 months. 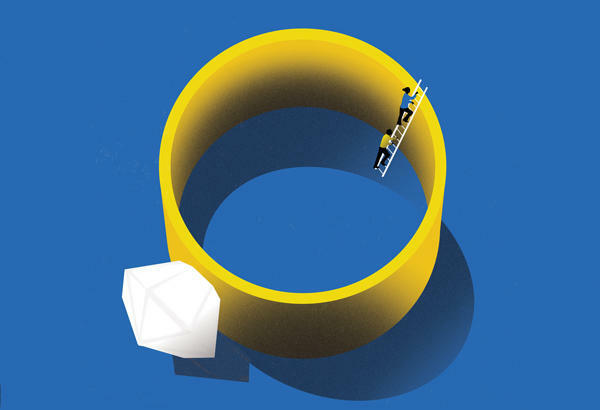 The average bill for getting divorced in NYC, which usually costs between $5,000 and $37,000. That’s 34 percent higher than the national average and includes more than $13,000 in attorneys’ fees, as well as the cost of mediation and expert witnesses, including real estate appraisers. 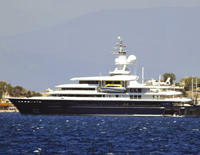 The value of the 377-foot yacht Russian oligarch Farkhad Akhmedov was ordered to give his ex-wife by a UK court in April. In 2016, a judge awarded Tatiana Akhmedova a nearly $590 million settlement, including a roughly $27 million country house. The sum, more than 40 percent of Akhmedov’s fortune, was one of Britain’s all-time largest divorce settlements. The cost of filing the paperwork for an uncontested divorce. That’s what Vanessa Trump did in March when she filed against Don Jr. But that doesn’t mean that the two — who were married for 12 years and have five children — won’t pay lawyers handsomely to help divide their properties and assets. The number of U.S. divorces that involve divvying up property, according to a guesstimate by Starks. Though no national numbers are available, Starks said that in California alone, she’s personally handled over $150 million in property sales related to divorce.